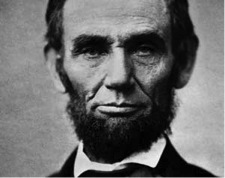 Losing out on his mother when he was barely 9 and experiencing a difficult relationship with a father who wasn’t the easiest person to deal with, Abraham Lincoln, is a name that evokes tremendous reaction wherever you go. And, not just in the United States. Universally, we have come to regard “Abe” as the great former President is fondly recalled for certain qualities that have perhaps become defunct in describing the character and virtue of a supreme leader in today’s day and age. We aren’t exactly prevailing in times where democracy and democratic values precede peace and equanimity, not that during Lincoln’s era all was quiet on the ‘western front’. But with growing intolerance around the world marked by sporadic attempts to bring about peace that often confront foreign policy interests, the United States one has got used to seeing today is sadly not a fraction of what Lincoln would have imagined during his time as its 16th President. No one needs re-education on how Lincoln strived for greatness. There are umpteenth narratives, books and documentaries that affirm his place as one of the greatest Presidents of the United States. And, here lies our dilemma. Could it be that while examining the might of the powerful USA or of world’s influential leaders, we, as common observers accord lesser importance to values such as simplicity , fairness and compassion while hailing ‘power’ above all qualities? JFK, the youngest US President commanded an élan that few could ever match. You can see it in the way Kevin Costner approached the character in the 90s epic (by Oliver Stone) of the same name. Franklin Delano Roosevelt’s aim to make the USA the “arsenal of democracy” re-affirms grace under pressure having led the superpower during not just America’s but the world’s most volatile periods (second world war). You associate erudition and charisma with Eisenhower. Then, we have the legendary George Washington, the founding father of America and ever the chivalrous star on the galaxy of the star-spangled banner. But have you noticed how pale do facets like “exuberance” and “might” seem all too suddenly when Lincoln’s name graces the list of the greatest American Presidents? It hasn’t got anything to do with the fact that flamboyance wasn’t Lincoln’s greatest strength, not that he ever needed it. But as you traverse history books and revisit some of the political luminaries of the world, Abraham Lincoln, the 16th President of the United States stands out as a character you carve in fairy tale books. Not for his looks. You wouldn’t consider him star-like. Neither was he known to be an iron pounder seen in boxing rings or emporium’s that manufacture muscles. 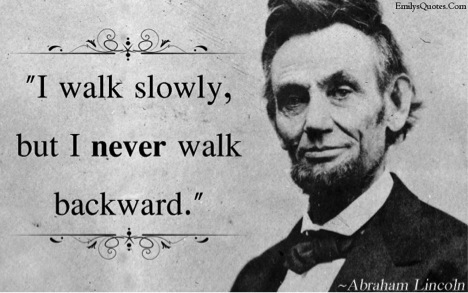 And that is exactly Lincoln’s greatest strength. 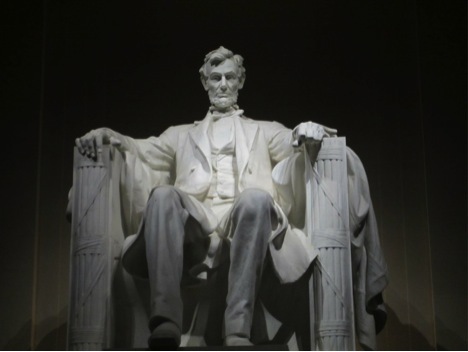 The fact that it took a rather sad looking and deeply melancholic figure to navigate America through its bloodiest time in history; civil war (1861-65); a time marked by tremendous political, constitutional and above all, moral crisis makes Abraham Lincoln a timeless legend and America’s great champion of civil rights and, a symbol of compassion. Largely a self-taught individual, Lincoln had moved to Illinois during his formative years, a state that would shape up the leader in him. Depression and loneliness marked most of Lincoln’s life and the irreparable loss of losing out his dear mother, did little to motivate the young student learner. A lawyer, one who strived for greatness and attained most of his successes in life well after crossing his youth, Lincoln who grew up in a single log cabin at Kentucky, fried his political combatants and adversaries who opposed ‘freeing’ of slaves (at designated areas in southern states until 1865) quite like chicken. He was merely 22 when while working at a grocery store, at Illinois, the young Lincoln walked on foot to return the extra change a customer had handed over to him at the counter. This earned him the moniker, “honest Abe” and marked the exemplary life of one of America’s great sons with a certain dignity that is hard to find. Some say greatness happens to you when you least expect it. But, in Lincoln’s world, where tireless championing for the cause of civil rights, equality and social justice was a way of living, greatness often became synonymous for tragedies and setbacks. How easy would it have been for Abe to have dealt with the loss of son Edward? 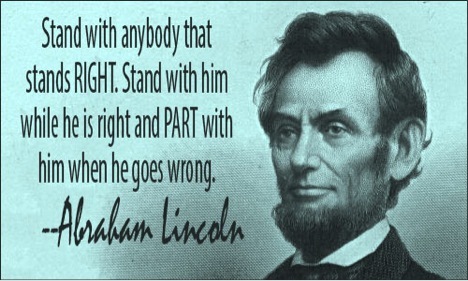 This was when Lincoln was at the peak of his political career as a Congressman. The death of his other son Willie broke him and made the lanky figure of poise question religion. Although never a vocal believer of god, he would at times express his desire to visit the fatherland to wife, Mary Todd. But, the man who suffered nervous breakdowns on more occasions than one stands strong and mighty on grounds of compassion. 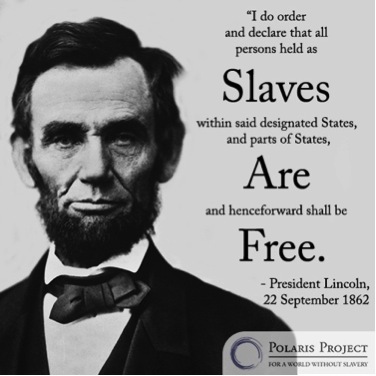 His legendary move, titled, “Emancipation Proclamation”, an executive order that came into effect on January 1, 1863, put an end to the suffering and plight of over 3 million ‘slaves’ whose federal status became ‘free’ in designated areas of the South states in North America. If you look around, you will find that some of the world’s prominent political leaders attained the highest serving positions well beyond those ripe years of youth. Only exceptions like John F. Kennedy, who became the youngest American President assumed office at 44. Obama became the President when the African American was 48. Isn’t it an irony that Putin too assumed the office as the President at the same age? Germany’s icon of modern times, Angela Merkel was 51 when she sat atop the seat at Berlin. Then, why do historians, students and researchers harp about Lincoln who addressed from the Capitol for the first time when he was 52? If age is just a number and not really a measure of your success then through the mighty exploits of Lincoln, which were earned with a certain equanimity and grace under pressure, it will be wise to say that with age comes wisdom. One could argue that time may be ripe to do some prognosis of the above and while scholars from the developed West as in the zesty East all shower bouquets of respect at Lincoln, it may be not such a bad idea to revisit some qualities of quintessential leader of America that have furthered his legacy, 150 years after his death.